What Does Mark 11:9 Mean? Only days before His crucifixion on Calvary's cross, the Lord Jesus triumphantly rode into the city of Jerusalem, on a little donkey.. proclaiming to be Israel's long-awaited Messiah, and their prophesised King and Saviour. 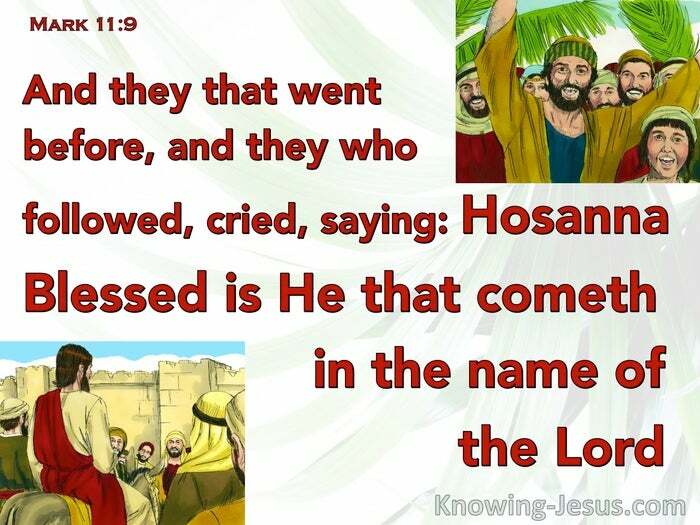 The crowds cried out in excited expectation: Hosanna, they shouted. Save us, is the interpretation. Blessed is He Who comes in the name of the Lord, was the jubilant greeting Jesus heard from the people - as had been foretold, in the book of Psalms. But things were far from right, for the nation of Israel. They were looking for a King who would save them from the tyranny of their Roman overlords, rather than One Who would deliver them from their sin, free them from the curse of the Law and save them from sentence of spiritual death, which their sinfulness demanded. 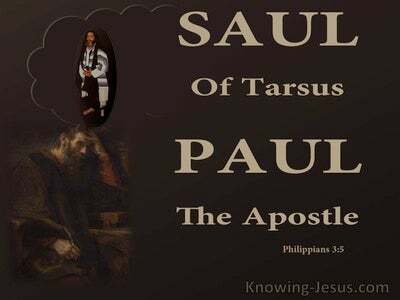 Though a few trusted in Christ as the Son of God, Who takes away the sin of the world, most followed Him to gain physical healing or to get a free lunch of fish and bread, instead of spiritual food. Others were intrigued with the passing thrill.. of witnessing the many signs and wonders, He performed in their midst. The adoration of many was superficial. Israel, as a nation, was still in unbelief, after three years of Christ's earthly ministry, and Jesus knew that the nation would reject Him as their King, and be subjected to the terrible time of Jacob's Trouble, when the wrath of God would be poured out on the nation, until they truly recognised Him, for Who He was. 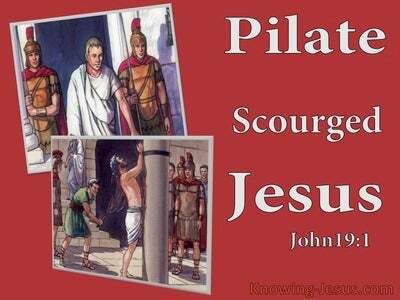 The cursing of the barren fig tree, which followed, and the cleansing of the Temple from the corrupt money changers, set the stage for the crucifixion.. as the scribes and Pharisees plotted how they might destroy the Lord Jesus. 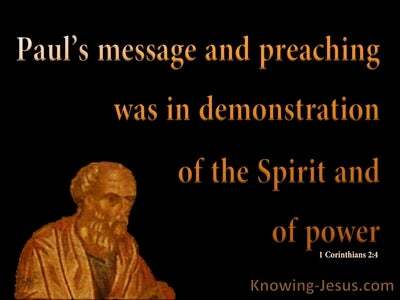 They were full of fear, because the people were astonished by His doctrine and mesmerised by His wonderful works. Some had heeded the call of the Baptist to repent of their sin and believe on the Lord Jesus Christ for forgiveness. Some had their eyes open to the truth and recognised Him as the Light of the world, in Whom is eternal life and divine love, and acknowledged Him as Lord - but most remained in unbelief. 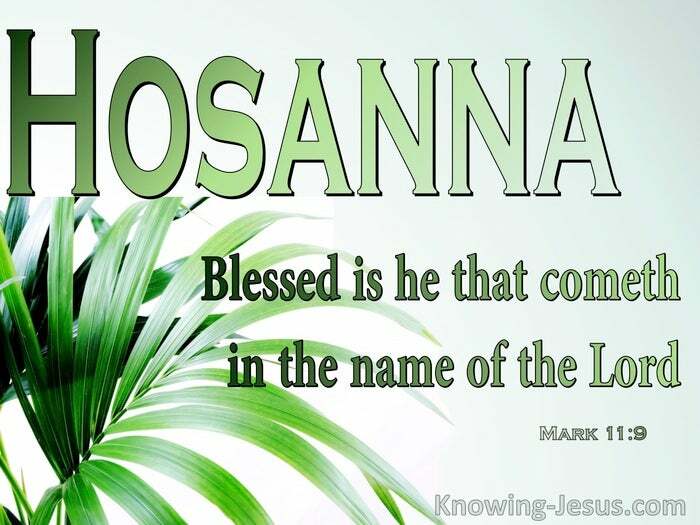 Every one of the four gospels records these words of blessing, which fell from the lips of the crowds on that day.. when Jesus rode into Jerusalem on a donkey - declaring Himself as Israel's King - Blessed is He that cometh in the name of the Lord. And yet as Luke records, Jesus wept over Jerusalem... because despite their fleshly adoration of Him, they neither accepted Jesus as God's anointed King, nor did they recognise the day of their visitation. And so Jesus made a sombre pronouncement to unbelieving Israel- you shall not see Me again, until that day when you will say, 'Blessed is He that comes in the name of the Lord. The day when Israel as a nation truly repents of their sin and recognises Jesus as their Messiah and King is yet future. It will take place at the end of that coming time of terrible tribulation - the Time of Jacob's Trouble, when finally.. Israel as a nation will heed the call that John the Baptist made, so many years before.. to repent of their national sins against God, to recognise Christ as the Lamb of God and King of the Jews, and to cry out with one voice - Hosanna - Save us - Blessed is He that comes in the name of the Lord. Heavenly Father, thank You for the truth of Your word, which tells us the end from the beginning. Thank You that Your promises to Israel still stands, despite their centuries of unbelief.. and thank You that Your promises to me and the whole Christian Church remain YES and AMEN in Christ Jesus, my Saviour, despite the times that my faith has failed and my pride has caused me to forget You. May I live and work to Your praise and glory, in Jesus name I pray, AMEN.